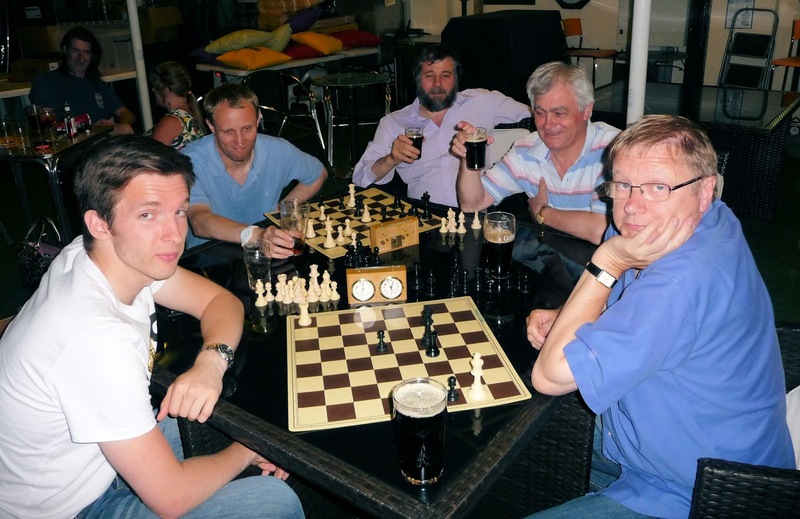 A few chess players are meeting up at the Dove in Ipswich every Wednesday from 8.00 pm onwards during the summer months. Pictured above at this week's meeting are Luke Hill, Andrew Shephard, David Brown, Michael Clapham and Ian Wallis. Ted Matthewson took the photo. Other chess players are welcome to attend.